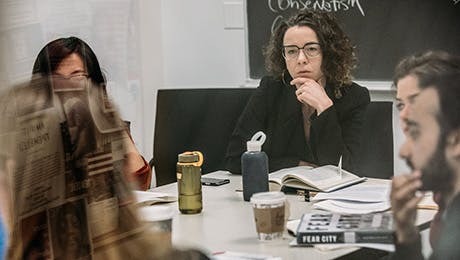 The Center is dedicated to engendering and enhancing freedom of inquiry — not merely as an intellectual exercise but as a lived imperative — and to addressing, illuminating, and alleviating pressing social issues. These goals are rooted in the earliest history and ideals of The New School. In this spirit, all of our activities and initiatives are intended to foster dialogue within and beyond the academy and to enhance public understanding of important social and political issues. 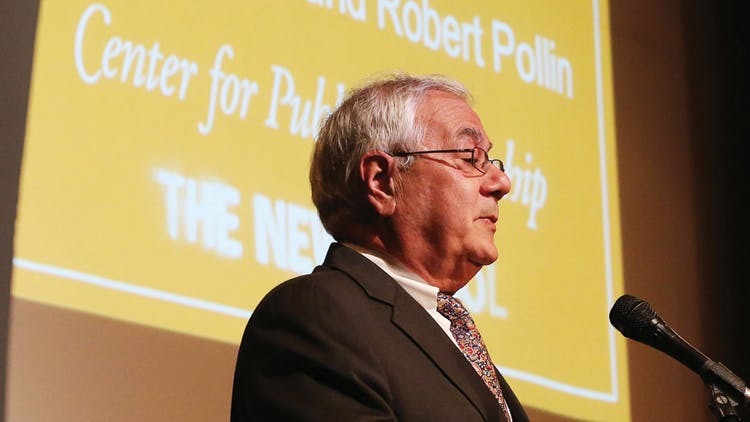 The Center draws on the strengths of The New School and its faculty to shape and inform its programs. Under the direction of Dr. Arien Mack, Alfred and Monette Marrow Professor of Psychology and editor of Social Research: An International Quarterly since 1970, the Center unites a number of existing initiatives and draws on their demonstrated strengths to develop new programming. It is designed to serve as a bridge between the many initiatives at The New School consistent with its mission and as a catalyst for new programs both within the university and between The New School and other institutions. The Center for Public Scholarship is generously supported by Eugene Lang College The New School for Liberal Arts, Parsons The New School for Design, Milano The New School for Urban Policy, The New School for General Studies, and The New School for Social Research as well as the university Provost's office. The Center's multifaceted activities include producing Social Research: An International Quarterly, an award-winning journal that has been mapping the landscape of intellectual thought since it was first published by The New School in 1934; the annual Social Research conference series, launched in 1988 (which will expand to include new events to engage experts and the public in critical and contested issues of our times with the intent of influencing public policy); the Journal Donation Project, since 1990 a major library assistance program with the mission of creating scholarly journal archives in 35 countries that for political or economic reasons have been unable or unwilling to establish their own; and Endangered Scholars Worldwide, an activist initiative started in 2008 to respond to the wrongful imprisonment of scholars around the world.